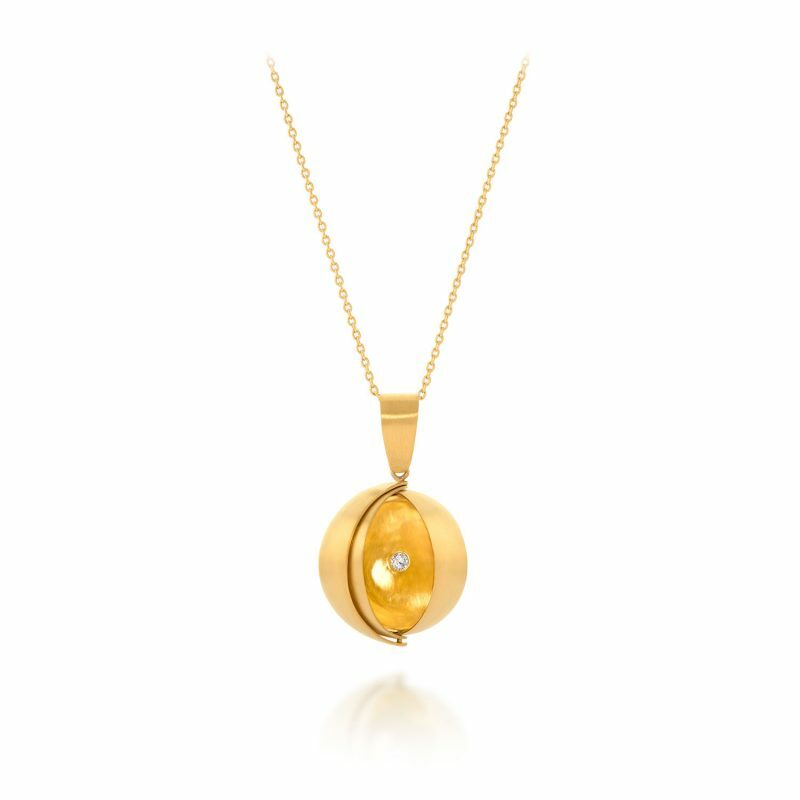 Observatory Pendant necklace handmade by Rose Carvalho in 18ct yellow gold with diamonds. (Chain not included). Part of the OBSERVATORIES collection, interactive jewellery inspired by astronomical observatories, which create incredible effects on rings, earrings and pendants that open and close like lockets to reveal inside a myriad of stars, planets and constellations of diamonds and pearls in the form of exquisite jewellery. Rose Carvahlo is one of the most talented fine jewellery designers to hit the Brazilian jewellery scene.